Protect your economic investment by maintaining or restoring the architectural and landscape integrity of your property: educate yourself, hire restoration and preservation trained and experienced architects and contractors, make additions or changes that stay with the style and scale of the original building. Research your own property. Do a house genealogy; trace the ownership of your property back as far as possible. Uncover who designed and built your house or building. What architectural style is your house? Who lived there before you did? Have your house and/or landscape designated a Modesto landmark. All you need to know is on the Modesto Landmark Preservation Program page. Research the history of your neighborhood. When was it developed? Who lived in the neighborhood? How did it change over the years? What is its name? Visit an historic building. In Modesto we have the McHenry Mansion, the McHenry Museum, the old post office building, and more than 50 designated city landmarks. See a movie or play in an historic theatre. In Modesto the most obvious choice is the State Theatre, but there are others in the area: the Fox in Stockton, the Fallon in Sonora. Watch the award winning movie Modesto Modernism. Join the efforts of Modesto Heritage by following developments on the museum’s Facebook page or by volunteering to do much needed research into Modesto’s historic architecture and landscape. 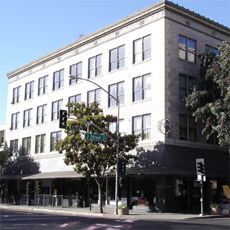 Walk the historic cruise route in downtown Modesto. Attend the Modesto Architecture and Design Week (MAD Week), with dozens of events and activities for all ages.